Registration extended! Register by April 8! 9 GREAT workshops to choose from! Earn up to 5 hours! Download the Conference Flyer Here! Download the Workshop Information Sheet Here! Do you live in Kentucky and are seeking a NAEYC affiliate? You can join Southwest Ohio AEYC! Simply select Southwest Ohio AEYC as your state affiliate! Early childhood professionals in Kentucky can gain access to all of the NAEYC and SWOAEYC benefits including many events that take place in the Cincinnati area! Seeking Kentucky DCC Credit? Click here! Not seeking any credit? Click here! Call (513) 459-9800 and ask for the SWOAEYC Conference Block. Rates start at $129/night for a double room. Why attend a SWOAEYC Conference? View highlights from the 2018 Annual Conference & find out! PNC Grow Up Great® helps children from birth through age five develop a passion for learning that lasts a lifetime – and can help set them on a path to success. 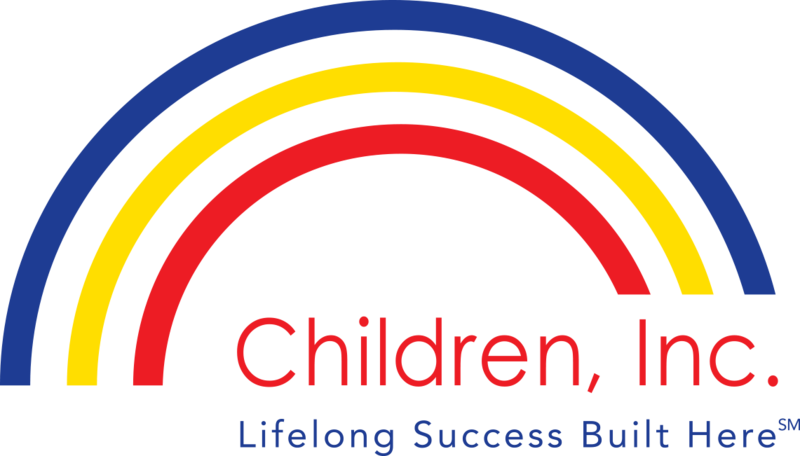 Children, Inc., a United Way Agency Partner, is a highly rated nonprofit provider in child care, family support, and school age services in Greater Cincinnati. Children, Inc. services span prenatally through college and career. Our multi-generational approach to fighting poverty our community as well as our work in advocacy, training, and research builds a strong foundation for success for over 3,000 children and families in our region every year. The Community Action Agency - Cincinnati | Hamilton County (CAA) helps improve lives from cradle to career. CAA uses a broad range of public and private resources to give low- and moderate-income individuals the opportunity to improve the quality of life for themselves, their families and their communities. Through our network of donors, employees and volunteers, we help reduce poverty, increase self-sufficiency and improve the community by providing resources for people to create healthier, better lives and achieve their full potential. 4C for Children educates and supports the adults—parents, child care providers, preschool teachers, early learning program administrators—who care for young children and prepare them for success in school and life. We also advocate for public support for quality early education and care for all children. 4C is the state-designated child care resource and referral agency for 27 counties in Ohio and Kentucky. We know that lasting personal and social change comes about when we all work together. That is why, at the Y, strengthening community is our cause. Every day, we work side-by-side with our neighbors to make sure that everyone, regardless of age, income, or background, has opportunities to learn, grow, and thrive. We are a committed and diverse community that inspires people of all ages, and families in all forms, to achieve their hopes, dreams, and goals. We encourage belonging in a safe, caring, and vibrant environment. Our mission is to serve children and families of the University of Cincinnati and community by providing a high quality, educational program sustained through a professional, nurturing staff. The UC Early Learning Center program embraces the constructivist position. This position posits that children learn when they are engaged both physically and cognitively, with objects, people, and events. The program has a developmental focus which grants each child the opportunity to grow and learn at his or her own pace. The Children's Home of Cincinnati is a private, nonprofit organization and a leading provider of education and mental health treatment for children facing significant social, behavioral and learning challenges. Since 1864, The Children's Home of Cincinnati has provided services and programs that transform the lives of children and their families. We are funded through a combination of program fees, government and granted funds, donations, and investment revenue. The Butler County Educational Service Center Head Start is a federally funded preschool program for children ages 3-5. With centers located in communities throughout Butler and Preble Counties, our child and family focused Head Start Program has the overall goal of increasing school readiness and social competence of young children. Our Head Start Program is built upon the understanding that the development of young children is deeply influenced by their family, their community, and their early educational experiences. We are dedicated to preparing preschoolers to take on the challenges of Kindergarten. WCCS' mission is to strengthen the fabric of our community by providing services and connecting people to resources necessary for realizing their full potential for a quality life. 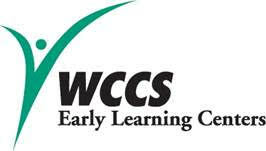 Look for WCCS in every community in Warren County. No other organization in Warren County does what WCCS does. Experience THREE workshops exploring STEAM in the Early Years and focusing on Earth & Space Science, Life Science, and Physical Science. All hotels are only a 3 minute, or less, drive from the Savannah Center! Description: The rate includes a free hot breakfast, free Wi-Fi, indoor pool, onsite fitness center and free parking. Reservations: Call the hotel directly at (513) 645-1700 and request the group rate provided to Southwest Ohio AEYC. You must reserve a room before the cutoff date of March 20, 2018! Reservations: Call the hotel directly at (513) 341-4140 and request the group rate provided to Southwest Ohio AEYC. You must reserve a room before the cutoff date of March 20, 2018! Southwest Ohio AEYC is happy to be able to offer you access to TWO articles written by Sally Moomaw and published in Young Children. Young Children is NAEYC's award-winning, peer-reviewed journal focused on educating children from birth through third grade! Do you enjoy resources like these? NAEYC Entry-level members get access to digital resources and NAEYC Standard- and Premium-level members get full access to Young Children digital archives! Learn more about joining SWOAEYC and NAEYC! Southwest Ohio Association for the Education of Young Children is a state level affiliate with the National Association for the Education of Young Children (NAEYC). We provide information, networking, and professional development opportunities to early childhood education professionals serving in schools, child care centers and family child care homes in Cincinnati, Columbus and Dayton across 16 counties. Our annual conference is an important part of our work. Each year early childhood and related professionals come together to be renewed in their work by presentations on the most current teaching strategies and topics affecting the field of early childhood education. In our 2016 annual conference 235 attended! There were 20 individuals awarded scholarships generously provided through our conference sponsors. To become a sponsor or to learn more about what it means to sponsor the 2018 conference, contact Gerry Weller, SWOAEYC Interim Executive Director, at welleg@yahoo.com.